A Bobber is a stripped-down motorcycle, one which not only has no superflous parts, but one which also has some legally-required parts cut-down to their legal limits. Bobbers were born back in the 1950s as young riders found reducing weight was often cheaper than increasing performance, so taking a hacksaw to mud guards (they were all metal in those days), dumping mufflers, ditching pillion seats and throwing centrestands helped them beat their mates, especially in drag races. 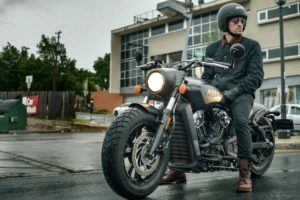 These days the only real reason to strip off parts is for the style, and enough riders have been doing it that the manufacturers have really noticed the trend, so you can now buy a number of Bobbers from your local dealer – Harley-Davidson has a few single-seat motorcycles in its line-up including the 48 and 883 Iron – they might not be called Bobbers, but they fit into the class. There’s also the Street Bob Big Twin. Even Moto Guzzi has the V9 Bobber. Triumph really raised the profile of the Bobber with its Bonneville-based machine. With its solo saddle (which appears to float in mid-air), hidden rear shock, wire wheels and shot-gun exhausts, the Triumph Bobber has a classic British look and feel. Indian might be late to the party, but has made a spectacular entrance. 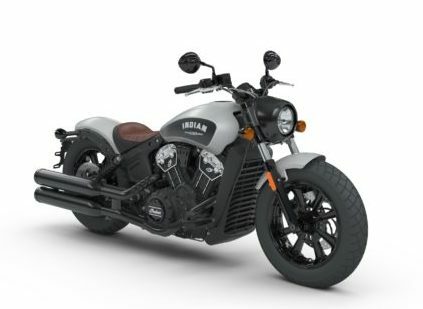 Based on the Scout, the V-Twin motor is the highlight of the machine, although using underslung bar-end mirrors on drag-style ’bars has kept the profile of the bike looking long and low. The press release about the bike emphasises the style. 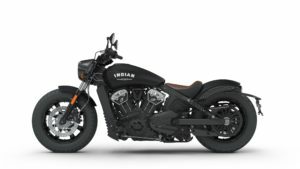 ‘The Scout Bobber features a black headlight nacelle, minimal engine covers and vented exhaust shields. A black gauge face on its instrument panel and black exhaust further adds to its blacked-out styling. The new block letter logo on the tank compliments the muscular look of the bike. ‘Chopped fenders front and rear and a new two-tone genuine leather bobber seat enhance the minimalistic styling. 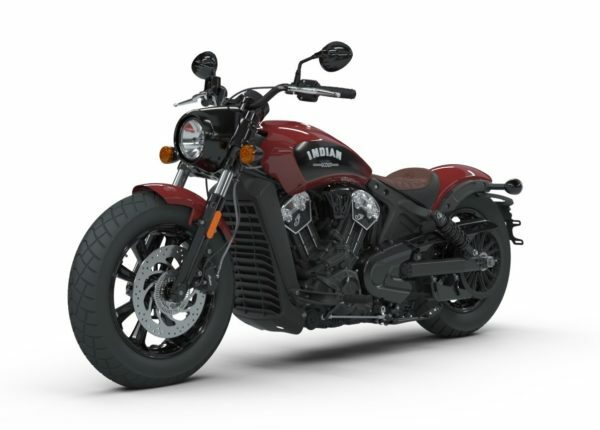 Add Scout Bobber’s raw styling to an American V-Twin high performance engine and this motorcycle quickly becomes more of a tool than an extravagance, enabling the rider to fully embrace the thrill of twisting the throttle and enjoying the journey rather than the destination. More info from the Indian Australia website.